District 211 students had the opportunity to not only see the exhibition, but to meet designer Maria Pinto and listen to her vast knowledge of the fashion career. Students in fashion classes at Palatine, Fremd, Conant, and Schaumburg High Schools received an opportunity to meet a famous Palatine High School alumna and designer while witnessing how history influences the present. 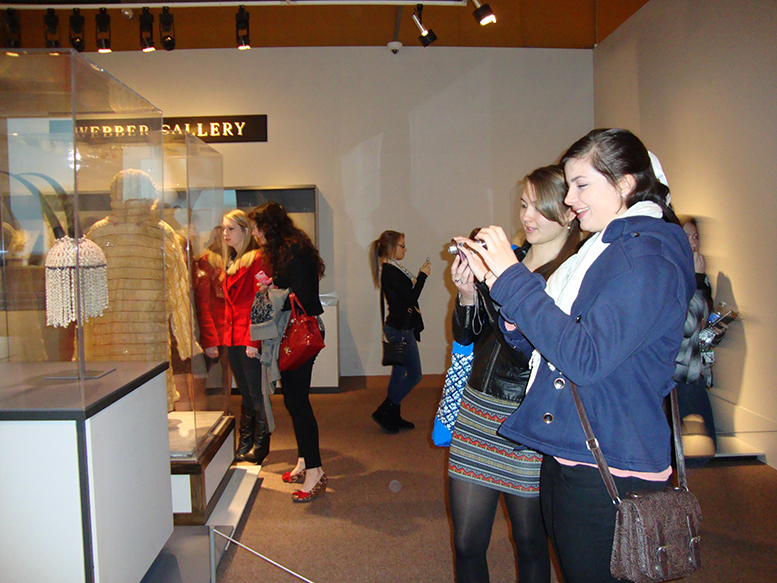 Roughly 60 students met with famous clothing designer Maria Pinto to view the “Fashion and the Field Museum Collection: Maria Pinto” exhibition in Chicago. The trip was part of a career exploration experience at each of the schools. Pinto, who graduated from Palatine High School, has since designed clothing for high profile individuals such as Oprah Winfrey, First Lady Michelle Obama, actress Marcia Gaye Harden, and for the Joffrey Ballet. She selected eight pieces of her work for the exhibition, and matched them with 25 different artifacts at the museum. The display showed how her work was indirectly influenced by history. For instance, she selected a top she designed that resembled sealskin shorts and crocodile shield sheaths from history. During the trek, students had an hour-long private presentation and Q&A session with Pinto. There, she explained how she got where she is today. She went through her successes and hardships during her career and how she helped point some of the aspiring young fashion designers in the right direction. 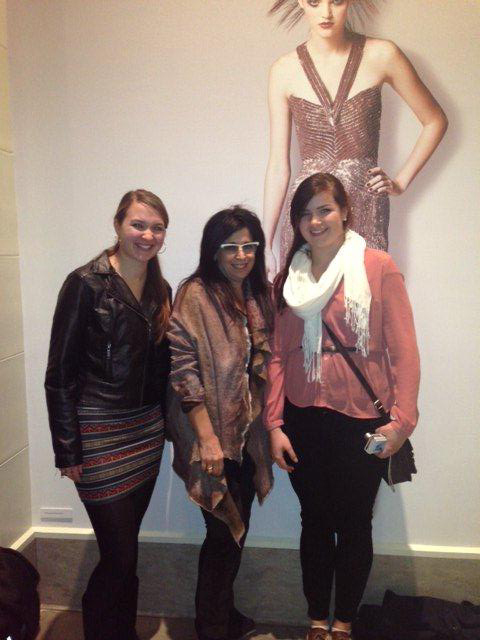 Student Megan Shahinian (left) and Maria Fracassi (right) pose with designer Maria Pinto at the Field Museum. Students asked questions about the fashion industry, inquired about what schools are best to pursue a fashion career, and even shared some of their design sketches. After encouraging students to apply for internships, Pinto mentioned she needed an intern for her upcoming fashion line. Pinto also walked students through the exhibition and explained some of the thought processes behind her selections. The afternoon concluded with Pinto posing with students who wanted a picture with her. Byrne said this opportunity motivated and inspired students because they were able to see a success story right before their eyes. For more information about the exhibition, please visit the Field Museum’s website.